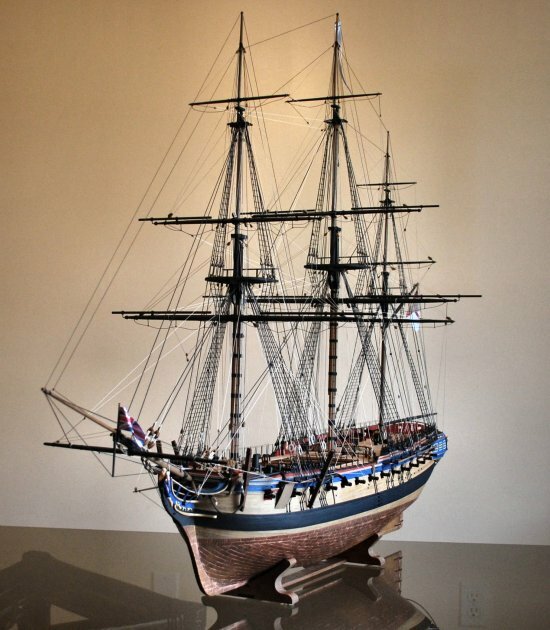 18th Century British Frigate - HMS Diana model. View along the hull of HMS Diana. 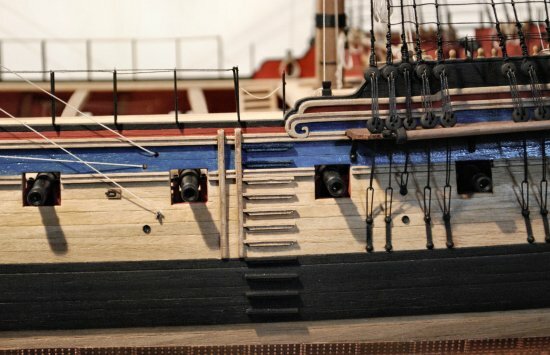 Image above shows midship detail; rails, hances, boarding steps, chainplates etc. The image above shows the completed model with the coppering naturally aged.